And you have almost made that Olympia likable in my eyes. I've avoided them this far - not my style. But I certainly wouldn't pass it up if I stumbled past it for $25. It's a VERY nice machine. Extremely well engineered. And very light to the touch. You would like it. They're deceptively ugly. More a product of their era than a reflection of their quality. Really outstanding machines, especially the slightly older script-logo models. Wow. That is one impressed and happy professor. I'm a prof myself and I hardly ever give out an A+ or gush like that! Congratulations on your fine writing and typewriting. But if you got a typewritten paper that was also decent... you wouldn't be swayed at all? Or have your students already tried that one? 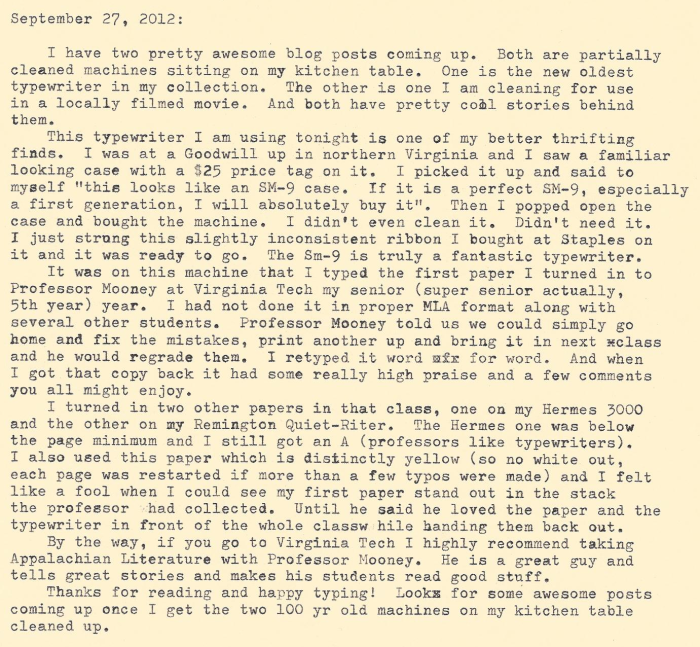 When I taught a course on communications this spring, students had the option of writing about typewriting, and some did it by typewriter (see examples here). 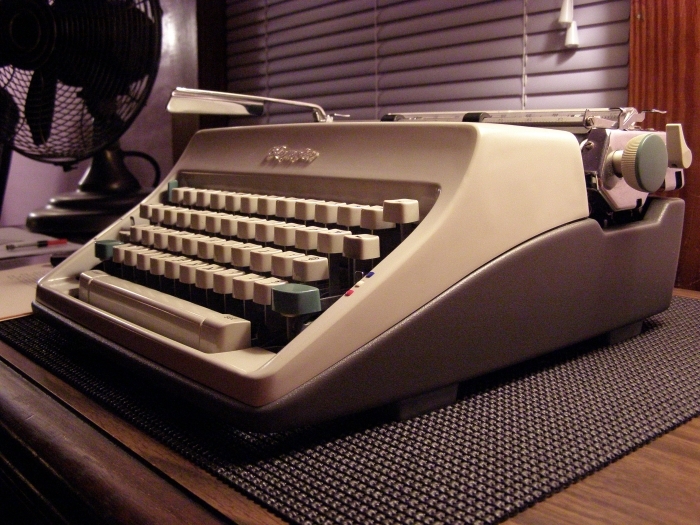 I've also given away a number of typewriters to interested students. 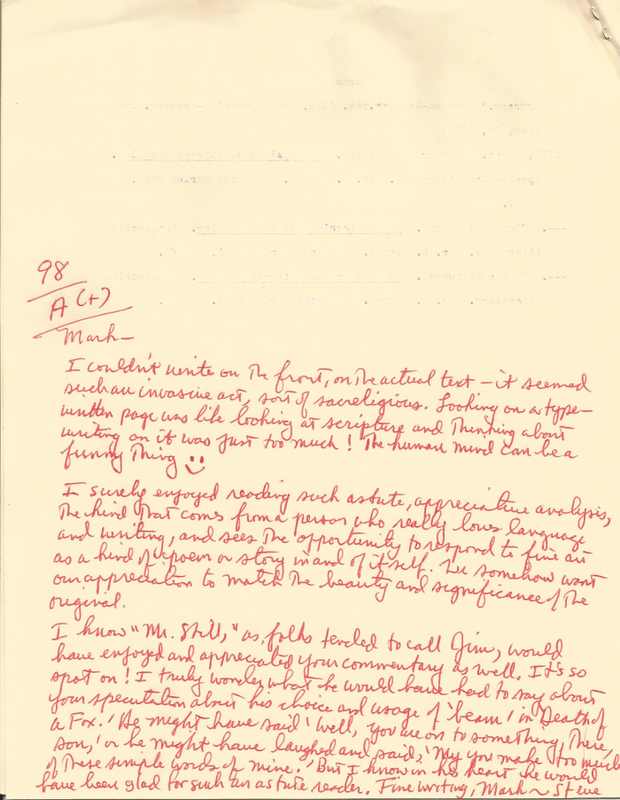 But no one has yet turned in a typewritten paper without prompting -- to my disappointment. I would of course be delighted. However, I would try to grade based solely on content! I have seen those papers, pretty cool. It is too bad no one has turned in one without prompting! I did it in several of my classes. Responses were mostly impressed, except for the ones that also required an electronic copy and didn't like my JPGs (I didn't have a scanner yet). Very cool. This is how it catches on. You'd think you'd be jaded by year 5 but it means a much as ever. 5th year was awesome. It was fun to be the old guy in most classes. My old roommate is on his 6th year (and third major, guy has too many interests). 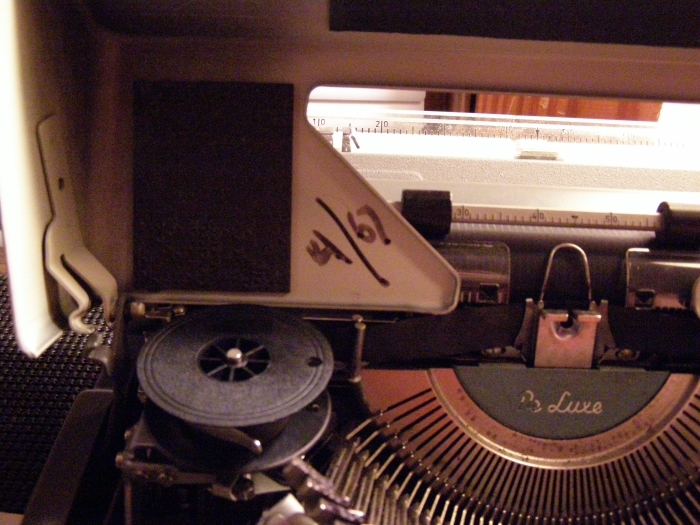 Ah, a delightful post about a simply phenomenal machine. What a lovely SM9, and a great typeface, to boot! Both of my SM9's have the 'techno' typeface, which is nice but rather large. For me, anyway. I prefer the smaller typeface of my SM7 or SG1. 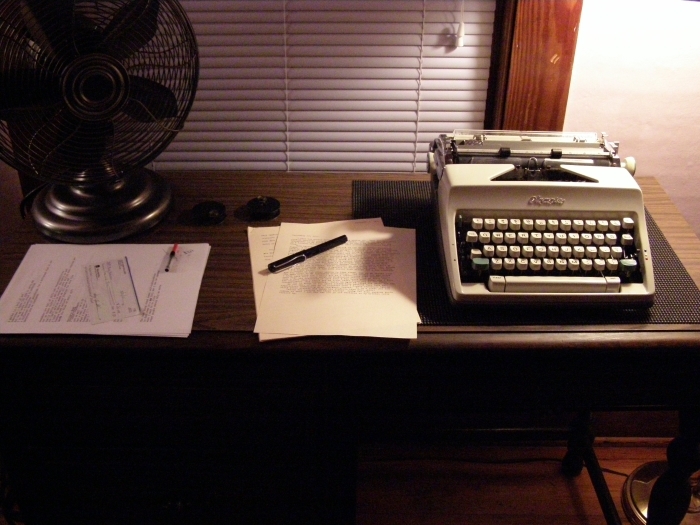 I wish I had school papers to turn in on a typewriter. My youngest brother has been doing this since I gave him his first typewriter. I just gave him his second, and I cannot wait to see how he handles using a far better machine.